ZCorum among select group of businesses recognized with the 2017 GLOBE Award for entering new international markets in 2016. Alpharetta, GA (March 24, 2017) – ZCorum, an industry leader in the deployment of managed diagnostics tools and software for broadband providers, announced that the International Trade Division of the Georgia Department of Economic Development (GDEcD) has named ZCorum as a recipient of a 2017 GLOBE (Georgia Launching Opportunities By Exporting) Award. The awards are sponsored by the GDEcD and recognize businesses that have entered into new international markets in the previous year. 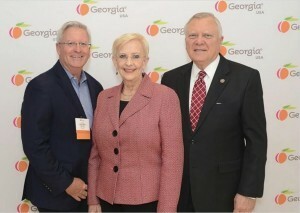 This fourth annual event featured Georgia’s Governor Nathan Deal presenting the awards to 24 Georgia businesses.